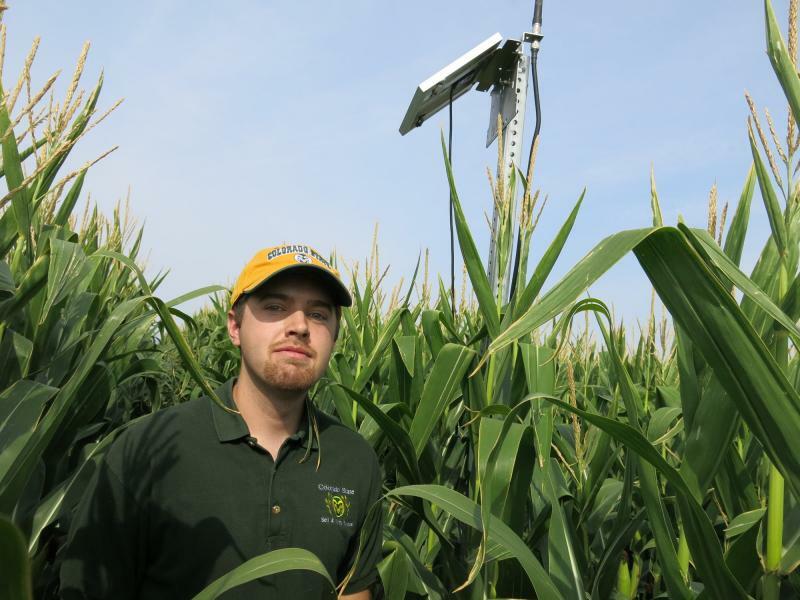 19-year-old Mitchell Matthew grew up helping on his family's Illinois farm. Here, he stands in front of a greenhouse bursting with tomato plants. Listen to Mitchell Matthew's story. Mitchell points out peach trees, apple trees, cherry trees, and blueberry bushes. Greenhouses filled with tomatoes are nestled into fields of sunflowers, sweet corn, and popcorn, and there are beds of zucchinis, peppers, onions, leeks, green and yellow beans, and squash. 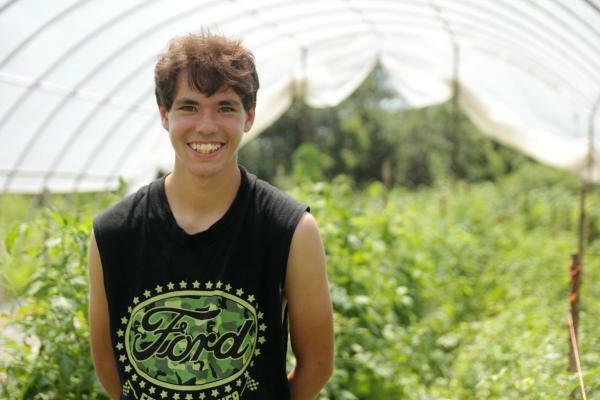 Despite helping his folks plant, raise and harvest so much produce, Mitchell, 19, says he doesn’t eat much of it. Unless you count his burger trimmings. Mitchell, who falls somewhere on the autism spectrum, grew up selling produce with his mom at area farmers markets and helping his dad care for the hogs they used to raise. He remembers feeding the animals and taking them to get butchered. It was his job to spray hog manure on the vegetable beds for a boost of nutrients. Mitchell graduated from high school this year and is full of dreams for his future. 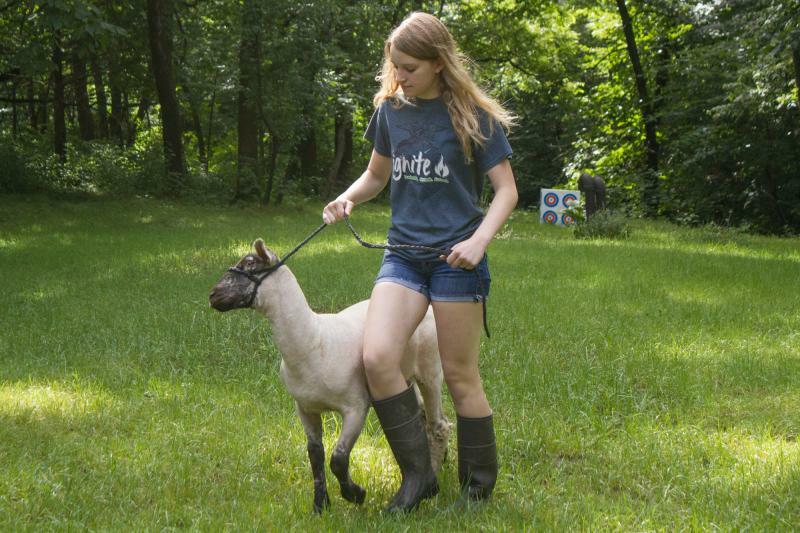 He plans to grow his lawn care business, work part-time stocking shelves in a big box store in town, and continue helping his parents with the farm. He loves working with machinery, too, like generators and big lawn mowers, so he might enroll in a trade school in a few years. Mitchell’s dad, Mark, credits his son’s strong work ethic to growing up in a small, rural community. 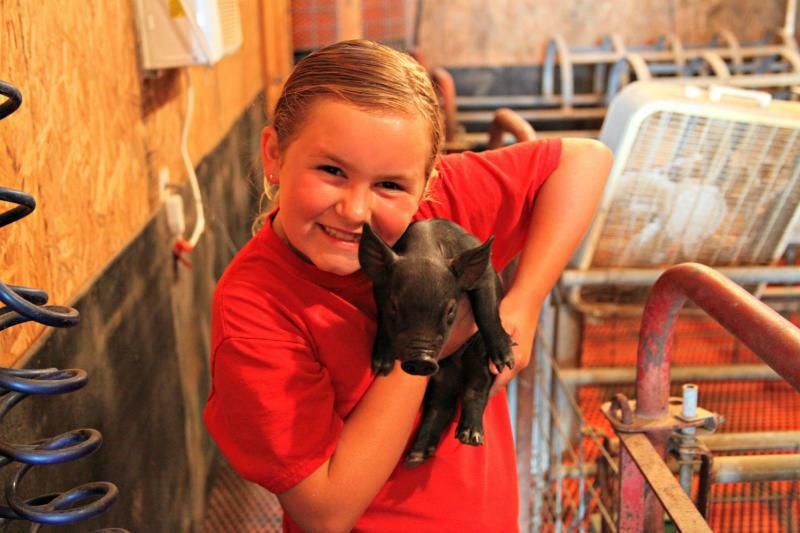 Share your story: What is it like to be farm kid? Share your Farm Roots story here. Click here to see more My Farm Roots stories.